Vietnam says it has granted amnesty to more than 18,000 prisoners to mark the country's 70th anniversary of independence from France. Thousands convicted of murder or drug-related offences will go free, while 34 foreigners are also among those given amnesty. However, observers say political prisoners are not expected to be freed. Tens of thousands of prisoners have been granted presidential amnesties since 2009. 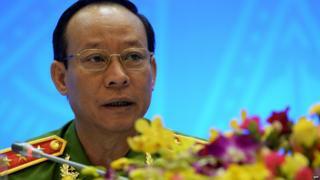 Deputy Minister of Public Security Le Quy Vuong said no one guilty of "crimes against national security" would be released. The government also said that the amnesty showed the ruling Communist Party's "humanitarian nature" and would help inmates "become useful citizens". Human rights groups and some western governments have criticised Vietnam for jailing dissidents, and say more than 100 political activists remain behind bars.